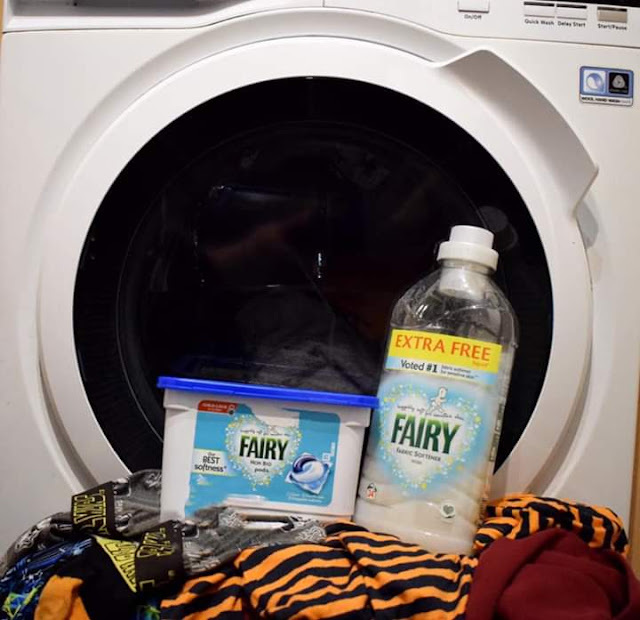 Making The Laundry Routine Safe With Fairy Non Bio. I don't know about you but since becoming a parent I think the washing machine may have become one of the most used items in my house! The laundry basket never seems empty and I am pretty sure I even hear the hum of the washing machine in my sleep now. But when you do your laundry have you ever considered how dangerous the products you are using could be for your inquisitive children? Children are natural little explorers and that's why its so important as parents we are aware of the dangers and try our best to prevent them! Fairy non bio has been a staple washing product in our house since I first had children. I still remember the soft delicate smell and touch of those first tiny baby grows I first used it on and have never looked back. Being a brand loved by families Fairy Non Bio has gone one step further to help families my putting a child safety lock on their packs of laundry pods. Laundry pods are amazing and save so much time and faff from measuring out or spilling powder everywhere. If you aren't familiar with pods they are otherwise known as liquid laundry packets or single unit dose (SUD). Pods deliver highly concentrated detergent capsules in an easy to use, convenient form. 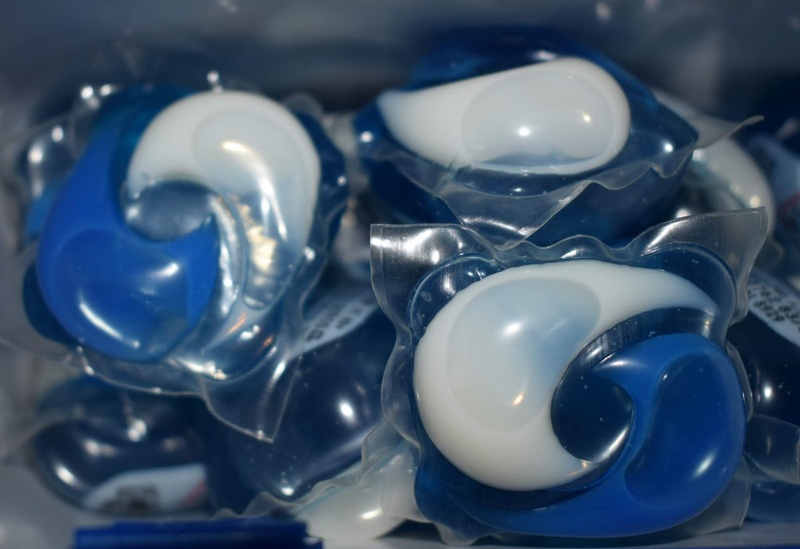 But like all household products pods can be dangerous in a child’s hands, causing injury if burst or bitten, especially as they contain a highly concentrated dose of detergent. As busy parents it can be so easy to let our guard down or forget to put something out of reach but the results can be disastrous. That's why the new child safety lock on the Fairy non bio pods is so great. Its a quick and easy locking system that is easy for us adults to open and close but almost impossible for smaller hands. Now when I say "child lock" I know what you are probably thinking, its going to be impossible for adults too! We have all been there trying to open those medicine bottles where you have to push down, twist and pinch to open to top and it feels impossible. 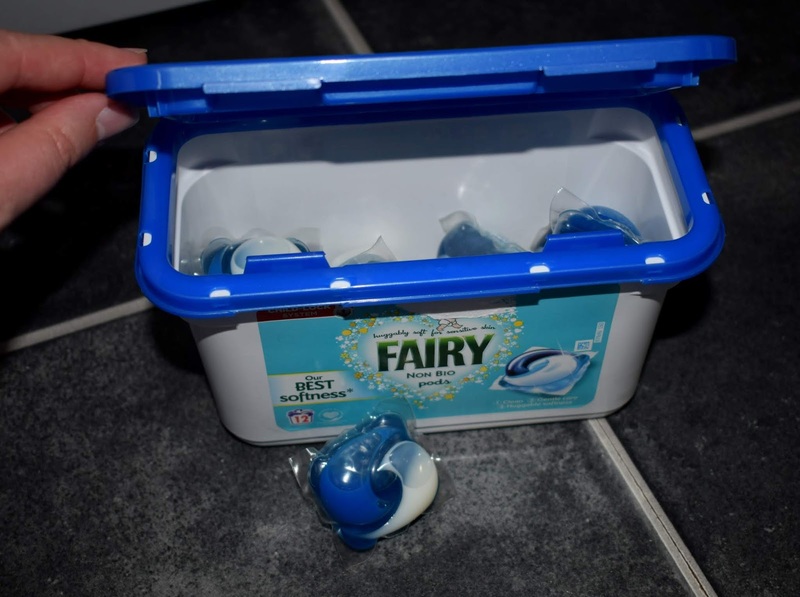 But the Fairy pods child lock system is completely different and whilst the packaging impedes children from being able to access the pods its really simple for adults to open the lid themselves. Its a simple case of pinching two clips to open and then click shut, simple right? Simple yet effective in protecting natural explorers and little hands. With laundry being a part of most peoples every day to day routine its so important that we take the time to make sure we do it safely. Implementing these small changes to make sure our little ones are safe too. - Using the child safety lock lid - pinching two clips to open and click shut. - Placing laundry detergents and any other chemicals out of reach of children, in a cupboard high up. - Ensuring children are a safe distant from the washing machine when loading and unloading or adding and detergents or chemicals. 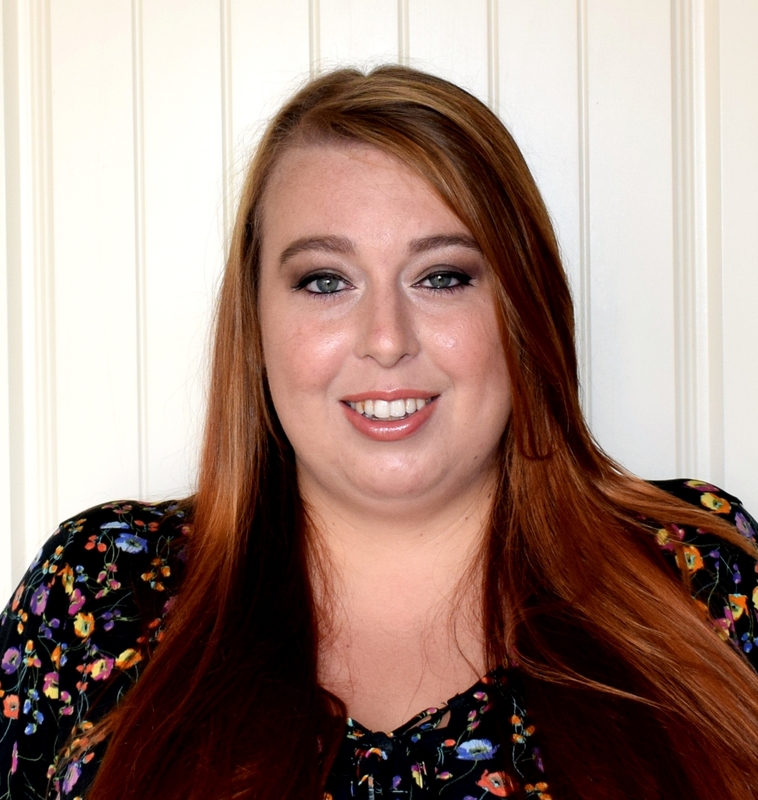 Simple changes can mean the difference between a household chore and a trip to the hospital! Where do you store your laundry detergents? I love fairy washing capsules they have amazing fragrances. I am glad to see companies taking child safety seriously with these child locks. It's great that they are child safe now. Especially after that trend with people eating them! We swear by fairy in our house - but I use the liquid not the pods. We don't have kids, so ours aren't in a particularly child safe place I'm afraid! We use Fairy. It washes brilliantly. 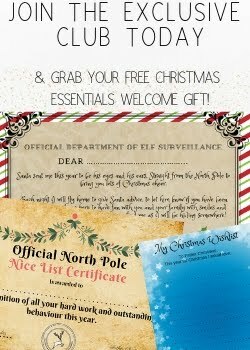 We use these all the time. I love that they have the safety locks on the packs. We always use fairy non bio and these child friendly locks are fab! My daughter loves helping. It's so important that all the detergents are safe or safely closed away. We only use Fairy in our house and the child friendly locks are brilliant. We store ours in the cupboard under the sink but we have a child lock on the cupboard. Love fairy - you know you’re going to get a good clean and I agree most my Washing machine is definitely well used with a little one!